How to say cheers in different countries (languages) | Cheers m8! It was years ago, the word cheer originally came from the Latin word for face (referred to facial expression) or countenance. The very first record of cheers expression could be found in the 18th century as a shout of encouragement or support. Nowadays it has many different meanings, depends which context it's used in. As a toast, cheers became from "Good cheer" in the early 20th century. 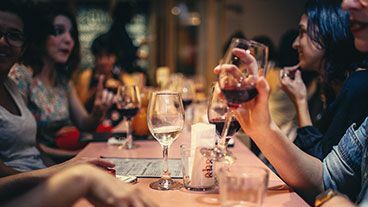 Drinking various types of alcoholic beverages (beer, wine or destilates) plays a significant and important role in many cultures, therefore it might be very interesting to discover how to say cheers around the Globe. Either you travel abroad and you'd like to impress locals or just you'd like to surprise your foreign friends or you want to improve the end of great toast speech with a special expression in local language, spread your knowledge and learn how to say it in different countries! Believe it or not, cheers! (including the translation of other languages) is one of the most used word (expression) around the world. Auf Uns! / Auf Dich!